Sensory play has many benefits for children, but I often find myself spending more time setting up the activity than my child spends playing. This is obviously very discouraging and has kept me from doing more sensory activities… until I learned what makes sensory play important and how to do it more efficiently. Senses are the most basic way to gather and process new information. Children use their senses – taste, touch, sound, sight, and smell – to learn about the world around them. By introducing sensory activities and talking through a child’s observations, we are equipping them with the skills to communicate and make meaningful connections. 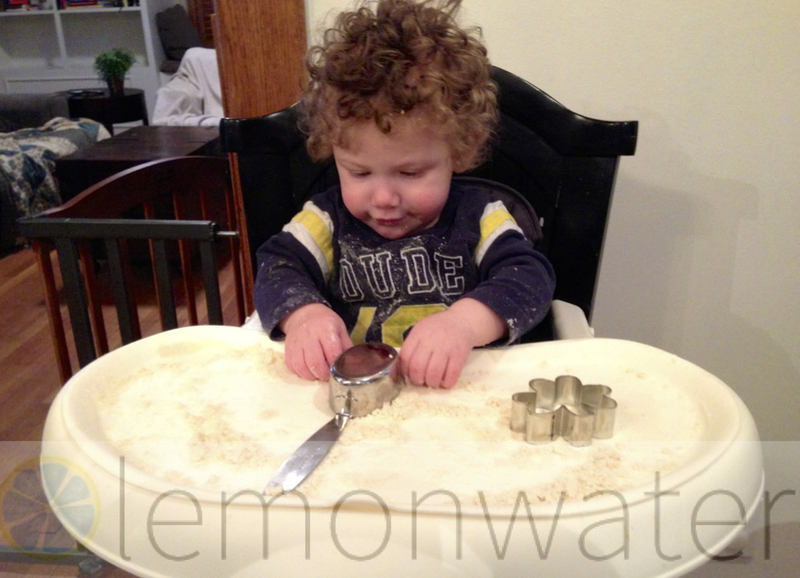 From touching different textures to tasting various foods, children are constantly learning something new. Sensory activities can help improve motor skills and language development. They instill creativity, build self-control and widen cognitive development. Make enough for several uses instead of just one. Share your sensory time or goods with friends and split the work. Do the activity in the bath tub, high chair with a drop cloth under, or somewhere else equally easy to clean. Use items that are non-toxic and not a choking hazard. This weekend we made our own sand. It’s currently 1 degree outside, so I’m channeling my inner beach babe. This was fun and easy. Combine flour and oil in a bowl or plastic bag. Use your hands to mix. Add more flour or oil to get desired consistency. More flour will make a softer, sand-like consistency. More oil will allow the dough to become more formable.